Citation: Chaudhary R, Sharma K, Shukla A, et al. Cystic Duct Opening into Right Hepatic Duct; a Disaster Waiting to Happen During Cholecystectomy: A Case Report. 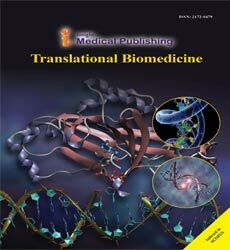 Transl Biomed. 2016, 7:2. Cholecystectomy is the most commonly performed elective surgery worldwide. Variations in the normal anatomy of the biliary tree are common. Cystic duct variations are surgically most significant. Incidence of cystic duct opening into right hepatic duct is very low. In the case presented in this report cystic duct opened into the right hepatic duct. An abnormally wide cystic duct made us suspicious and after careful dissection we could trace the cystic duct entering into right hepatic duct. Various radiologic investigations like ERCP (endoscopic retrograde cholangiopancreatography), MRCP (magnetic resonance cholangiopancreatography), Helical CT (computerized tomography) can give us excellent picture of biliary tree but they are seldom used preoperatively. Hence the proper knowledge of normal anatomy and anomalies of the biliary tree can help to avoid disasters during cholecystectomy, especially for surgeons beginning their careers. Cholecystectomy is probably the most commonly performed operation by the surgeons worldwide . Variable anatomy of the biliary tree poses a challenge to the surgeons. Knowledge of these variations is important for performing gallbladder surgery, liver resections and liver transplants. Surgeons overcome the learning curve but still the incidence of complications is twice as high in laparoscopic surgery than the open cholecystectomy . Among all the variations of extrahepatic biliary tree the cystic duct variations are most significant from a surgical point of view. The cystic duct can enter the hepatic duct very low, run parallel or can enter the right or left hepatic duct. Cystic duct entering the right hepatic duct is a rare condition which is prone to injury. Right hepatic duct can be mistaken for cystic duct, ligated and divided. The patient may present with biliary peritonitis, biliary fistula or cirrhosis of the liver at a later stage . Even the greatest of the surgeons can make errors, leave aside the beginners. Hence the thorough knowledge of the biliary tree anatomy and careful dissection is important to avoid such disasters during surgery. We present the case of a 35 year old female who came to the hospital for cholecystectomy. Patient gave history of repeated attacks of biliary colic for over a year. The patient underwent ultrasound scan of the abdomen which showed multiple small gall bladder stones. Gall bladder wall, common bile duct and pancreas were normal. There was no history of jaundice, diabetes mellitus, hypertension or any other chronic illness. The patient was taken up for cholecystectomy. During surgery, cystic duct looked abnormally wide. So careful dissection of Callot’s triangle was done to expose the extrahepatic biliary tree anatomy. Cystic duct was adherent to right hepatic duct and opened into right hepatic duct (Figure 1). Cholecystectomy was completed and patient was discharged on second post-operative day to be followed up in outpatient department. Patient made an uneventful recovery. Cholecystectomy is the most commonly performed elective surgery worldwide . Thorough knowledge of the biliary tree anatomy is of utmost importance for the surgeon especially during cholecystectomy, liver transplant and liver resection. The incidence of bile duct injuries is high especially during laparoscopic cholecystectomy which is almost twice as high as open cholecystectomy. There is a learning curve but with time the incidence should decrease. The abnormal biliary tree anatomy is more likely to cause injuries resulting in biliary leaks, ligation of bile ducts during surgery and strictures of the biliary tree in future. CT and MR cholangiography has been used to evaluate the biliary tree anatomy but they are not used routinely in preoperative evaluation. So a good knowledge of the biliary tree anatomy is important for the surgeon . Development of biliary tract starts from fifth intrauterine week onwards when a ventral sacculation in the distal foregut is noted. Cranial bud of this sacculation gives rise to liver and intrahepatic bile ducts while the caudal bud gives rise to gall bladder and cystic duct . The developmental anomalies of biliary tree may also be associated with anomalies in portal venous system and hepatic artery. However there is controversy regarding this association . Right and left hepatic ducts drain the corresponding lobes of liver and join together to form the common hepatic duct. It is joined by the cystic duct to form the common bile duct. Cystic duct is normally 2-4 cm long and 1-3 mm wide. Common bile duct joins the pancreatic duct and enters the second part of duodenum at it’s postero-medial aspect, about 10 cm distal to the pylorus. This is the normal arrangement of the biliary tree which is seen in nearly 60% of the cases . Anomalies of the biliary tract includes accessory bile ducts, aberrant ducts, aberrant cystic duct, bile duct cysts and abnormal pancreatobiliary junction, but most important from surgical point of view are variations of cystic duct . There are three important variations in the cystic duct. A low insertion into the common hepatic duct is seen in 9%, medial insertion is seen in 10%-17% and parallel course to the common hepatic duct extending 2 cm or more is seen in 1.5%-25% . Cystic duct may join the right hepatic duct in 0.6%-2.3% cases. The injury is highly likely to occur in this case as the right hepatic duct could be mistaken for cystic duct which could be ligated and divided. In about 11% of cases there is a triple confluence of right anterior and right posterior hepatic duct with left hepatic duct to form the common hepatic duct. Rarely the cystic duct can insert into the left hepatic duct. This is a dangerous situation making injury highly possible. Rarely there may be complete absence or duplication of cystic duct. The long ducts are more prone to injuries, Pancreatitis, Mirizzi’s syndrome and stone formation . Although CT, MRI (magnetic resonance imaging), MRCP, ERCP and helical CT scan have improved the preoperative diagnostic yield of biliary tract anomalies but they are not done routinely. Intraoperative cholangiogram can detect such anomalies and small accessory ducts can be tied off but larger ducts need to be preserved and implanted into roux loop otherwise they may result in biliary peritonitis or fistula formation . Cholecystectomy is the most commonly performed elective operation worldwide. The incidence of bile duct injuries is low during open surgery but almost twice in laparoscopic surgeries. Every surgeon is a beginner at some stage of his career and he masters his skills with time. Variations in the biliary tree anatomy are common. Anomalies of the cystic duct are surgically most significant and proper delineation of the anatomy during cholecystectomy can avoid disaster, particularly during laparoscopic cholecystectomy. Although the incidence of cystic duct draining into right hepatic duct is very low but above mentioned case clearly outlines the importance of proper knowledge and high index of suspicion of biliary tree anomalies particularly for the surgeons early in their careers, otherwise a disaster is inevitable. KulbhushanSharma: Contributed substantially to the Conception and design of the article and final approval of the version to be published. Ankitshukla: Contributed substantially to the Conception and design, Acquisition of data, Critical revision of the article and final approval of the version to be published. Kumar Saurabh: Contributed substantially to the Conception and design, Acquisition ofdata, Critical revision of the article and final approval of the version to be published. Sapsakos TM (2012) Anatomic Variations of the Right Hepatic Duct: ResultsandSurgical Implications from a Cadaveric Study. Ana Res Int 2012: 1-5. Cachoeira E, Rivas A, Gabrielli C (2012) Anatomic variations of extrahepatic bile ducts and evaluation of the length of ducts composing the cystohepatic triangle. intjmorphol30:279-283. Skandalakis L (2009) Surgical Anatomy and Technique, 3rd edn, Springer, New York, NY, USA. Macdonald DB, Haider MA, Khalili K(2005) Relationship between vascular and biliary anatomy in living liver donors. Am J Roentg 185: 247-252. Dohke M, Watanabe Y, Okumura A (1999) Anomalies and anatomic variants of the biliary tree revealed by MR cholangiopancreatography, Am J Roentg 173:1251-1254. Mortele KJ, Rocha TC, Streeter JL, Taylor AJ (2006) Multimodality imaging of pancreaticand biliary congenital anomalies. Radiographics 26: 715-731. Beckingham IJ (2015) Gallbladder & bile ducts. Association of Laparoscopic Surgeons. Guset user1-12, Available from:https://fliphtml5.com/xrgx/kyhx/basic.